Brantford City Hall photo by Steph Paige. Growing up as the daughter of a former City Councillor, I was determined to stay as far away from municipal politics as possible. I didn’t like it, I didn’t value it, and I didn’t want a thing to do with it. However, it would seem my definition of as far away as possible meant venturing in to the field of international politics and governance. I went on to study political science at the University of Waterloo and then worked for three years at an international think tank, The Centre for International Governance Innovation. I had big dreams of working in Ottawa and joining the bureaucracy and really wanting to make a difference for Canadians as a whole. Upon returning to Brantford after seven years being away, I swore I would not be drawn in to the issues faced here. The reality, however, is that as soon as one begins to make connections in the community and care about the people who live here, it’s inevitable that one starts to care about the services and opportunities available to them. It was the debacle surrounding the Wayne Gretzky Sports Complex which brought the opinionated side of me out. Admittedly, I have not delved in to the details of the situation, but experience tells me most issues of this nature come down to a lack of communication, by various parties, at various points in the process. What disappointed me in the reaction to the situation was the emphasis on the people, rather than the process. Once something like this has happened, the analysis should consist of something like this: was the process followed, does the process need an evaluation, and what can be done moving forward to ensure this does not happen again. Personal attacks only serve to poison the future working environment. As I read about the situation, one particular comment caught my eye. It referenced how there was no more oversight on signage than there was on the building’s fireproofing, concrete, etc. Having working in the communications field while at CIGI, I fully understood the importance of the branding and signage to an organization or venue. As I’ve been heavily involved in signage requirements both in my previous and current role, there is much that goes into this which requires ownership and significant involvement. Rather than attacking the lack of oversight, a number of issues jumped out at me. Does our council who, to me, do represent the city brand, understand branding and its importance? Do we have branding and signage guidelines, as many of the government levels I’ve worked with do? If not, to avoid a similar situation moving forward, these kind of issues can now be sorted out, having discovered an area for improvement. It is this thinking which led me to think further on the role of a Councillor here in Brantford. I was ecstatic to hear of the debate brewing about part-time versus full-time councillors. This is a conversation I feel is long overdue and it is my hope that this look at the role of a Councillor will be a holistic one, beyond just full/part time. Another conversation meriting discussion would be the value of ward-based councillors vs. at-large councillors. To me, the logic is simple. If we want a full-time commitment from our Councillors, they need to be recognized as such. When a Councillor is part-time, with another full-time job, it means only 1/3 of their efforts are focused on progressing the town forward. 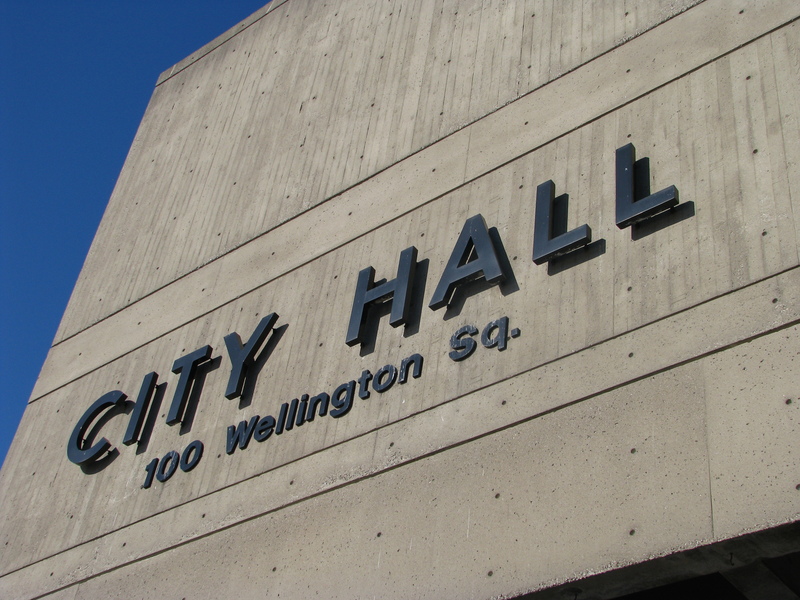 I find it insulting both to the individual and the integrity of the town to expect a Councillor to put in a full-time effort for anything less than a formalized full-time position. Quite simply, part-time means status quo, full-time means progression. Furthermore, I strongly believe there is value in re-evaluating the scope of the role of a Councillor. During the last municipal election, something I found fascinating was the platform of so many candidates focusing on issues entirely outside of the ward in which they were running. I’m not saying this is neither good nor bad, as everyone’s ultimate goal is to make Brantford a better place. But our current 100% ward-based system potentially hinders improvement, rather than promoting it. I believe there is much value in both the ward-based and at-large based positions. With 10 councillors, 5 could be ward-based, focusing solely on the issues of their residents, and another 5 holding at-large positions. This would help make the races more competitive, consistently encourage participation of qualified candidates and have broader city-wide appeal. This set-up would allow us to elect Councillors with expertise in issue- specific items which face the town, which their platforms could be based solely on. I am fully aware many people will have different opinions on the best system for the town, some similar and some different to mine. It is my hope this is a discussion to be had while looking at the role of a Councillor.